Clip on hair extensions are a great way to add volume and length to your natural hair without the need for glue, heat, fusion, braids or clamps; you just open the clip, attach the clip hair extensions and press the clip closed - it's as easy as one, two three. Clip-in hair extensions are also a great tool for transitioning from one length to another or for growing out a hair colour or texture. Whatever your reasons for choosing to wear clip hair extensions, you want to have the texture that makes you look and feel great. There are many reasons why people choose to wear hair extensions or wigs, some like to change their look along with the fashion trends and choose colours and textures that suit those trends. Others wear hair due to illness, difficulty in growing hair, difficulty in managing growth hair and hair loss (temporary or long term); this can mean aiming for an authentic hair texture and authenticity is achieved by choosing the right texture, length and colour (what we call the TLC principles for choosing hair you wear). If your new to the world of clip on extensions (welcome! ), then you might not be aware of the textures available, which is where this texture guide for clip hair extensions comes into play. Whatever the texture of your growth hair and whichever hair texture you'd like to wear, we have the perfect clip on hair extension texture guide so that you can choose the clip on hair extension texture that's perfect for you. Whatever the hair type, (human hair or synthetic fibres) have a look at the texture guide for clip hair extensions below and as always... Peruse The Perukes. If you're determined to choose a unique texture, then check with the retailer before you buy your clip hair extensions that it's a tried and tested texture that will remain even after the clip hair extensions have been washed (because although returning hair extensions can be an inconvenience, being left with clip-in hair extensions that you can no longer wear, is worse). This is a guide only, you can take the information on textures and use it, or you can leave the information and wear whatever makes you feel most comfortable and confident. 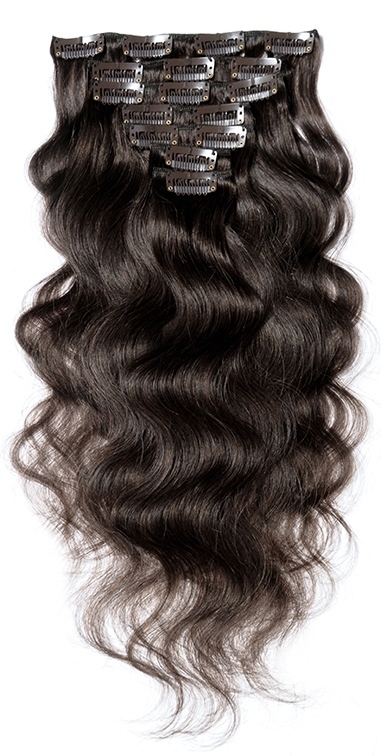 Your online retailer should be able to show you images of the clip-in hair extensions before you purchase them. As we said before ultimately it's about having hair that you can wear with confidence. If you're after more information on weave hair then check out our Hair Extension Q&A section or join our blog, it's easy to do and doesn't require any personal info - yay!